I am an intelligent, professional woman. I find myself in a situation that I desperately need advice about. My husband and I have been married 4 years. We were a long distance couple before we married and only spent weekends together prior. I knew that he had a very blunt mouth and also occasionally smoked a joint with his coworkers after work. What I learned upon marriage and full time togetherness is that he has an extensive marijuana problem as well has a hair trigger temper. I cannot seem to please him no matter what I do. I try my best to work full time and take care of all the bills and the housework. I also take care of any business matters that may need attending to, as well as attempt to keep him happy. It's a bigger job than I ever expected. Our last big fight was when he belittled me because I lost the tie to the bread wrapper. That's correct…extremely trivial. He gave me a screaming rant for thirty minutes because he says I have no regard for his expectations. His expectations are much too unreasonable. They leave no room for human error or honest mistakes. I've told him that. He simply cannot control his mouth and I get the brunt of his anger. I'm in the most difficult spot. I love him but honestly he is killing all the love I've had for him, with this bad behavior. He will always apologize, but this is just a pattern that he has established and it does not change. He is right back on his rant, the minute something doesn’t go to suit his selfish whims. I'm working hard to save my marriage, but I feel like I'm the only one who really does that. Please help me understand. My emotions cloud my judgment. 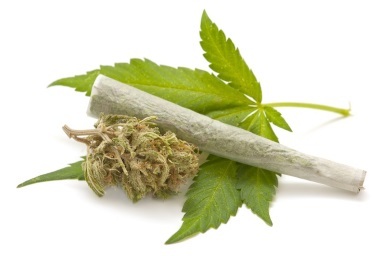 Marijuana addiction makes me act like your partner. The only way out for me was to stop using it. For whatever reason, it affects me differently than most people. Especially if mixed with tobacco. I have tried every anger management technique and it comes down to being sober. If you can get him to try abstaining for a month with some kind of record of the outburst frequency and intensity, he will see for himself. Hello, and thanks for telling your story here. Your situation is very difficult, which is very clear from what you've written. Ending a marriage is a very drastic measure, and yet staying in a marriage where you are being emotionally abused is drastic also. Only you can decide your next best step. From my experience, men with your husband's patterns do not usually improve, without professional help. He thinks he's right, at least at the moment he is ranting about you not meeting his expectations. Apparently, he has enough of a conscience to later apologize, but of course that becomes worthless without behavior change. 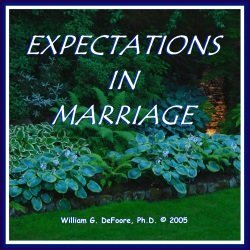 Unfortunately, your marriage is not likely to improve until or unless he realizes that he has a problem and seeks help. And of course if you suggest this, he's very likely to reject it. It would ultimately have to be his decision. I'm sure you will take your time, and make the best decision for yourself. Trust and believe in yourself and your good judgment, and then when you feel the time is right, make your decision and follow through.